January 22, 2014, marks the 41st anniversary of Roe v. Wade, the landmark 1973 Supreme Court decision that recognized a woman’s constitutional right to abortion. This anniversary arrives — once again — in the midst of a continuing war on women’s access to the entire range of reproductive health services; this includes birth control, breast exams, cervical cancer screenings and STD screening/treatment, in addition to abortion care. The National Organization for Women (NOW) has long been in the forefront of the battle to protect women’s decision-making rights. That’s why our “Keep Abortion Legal” round signs are featured in practically every news photo of public demonstrations in support of abortion rights. NOW activists are participating in “Roe Day” events across the U.S. this week. Click here to see what local NOW chapters will be doing near you. In the past three years, extremist legislators at both the state and federal levels have done all they can to push women back to the days when rates of unintended pregnancy, infant mortality, and maternal mortality were high and desperate women died from unsafe abortions. States have defunded women’s health clinics, passed mandatory trans-vaginal ultrasound requirements and targeted regulation of abortion provider (TRAP) laws designed to shut down abortion clinics. Some have even outright criminalized abortion at 6, 12, 18 or 20 week’s gestation — well before viability and in direct violation of Roe. These measures are only aimed at women; not a single aspect of men’s health is targeted for restriction. According to a new report by the Center for Reproductive Rights, politicians in nearly every single state attempted to restrict women’s access to their constitutionally protected right to abortion in 2013 — considering nearly 250 pieces of anti-choice legislation. More than 30 of these bills became law. One of the most widespread — and chilling — legislative tactics in the war on reproductive rights is the so-called 20-week abortion ban. Last June, the U.S. House of Representatives passed HR 1797, the “Pain-Capable Infant Protection Act,” a bill that would ban abortions in all 50 states after 20 weeks post-fertilization. It is based on the discredited claim that a fetus can feel pain at that point. The tide, however, is turning. Voters rejected the radical Tea Party agenda in the 2012 elections nationwide and again in 2013 in Virginia. NOW activists will be mobilizing voters in their communities, by educating voters about what’s at stake for women in the mid-term elections and making sure voters get to the polls on Election Day 2014. A lead story in the New York Times, headlined “Parties Seize On Abortion Issues in Midterm Race,”describes how Republicans are stepping up their attack on abortion rights in advance of the 2014 elections. Mr. Priebus, the Republican chairman, will attend the March for Life this week, rare for a party leader. So will Eric Cantor of Virginia, the House majority leader. In years past, Republican presidents have addressed the march by phone or video message to avoid speaking in person. 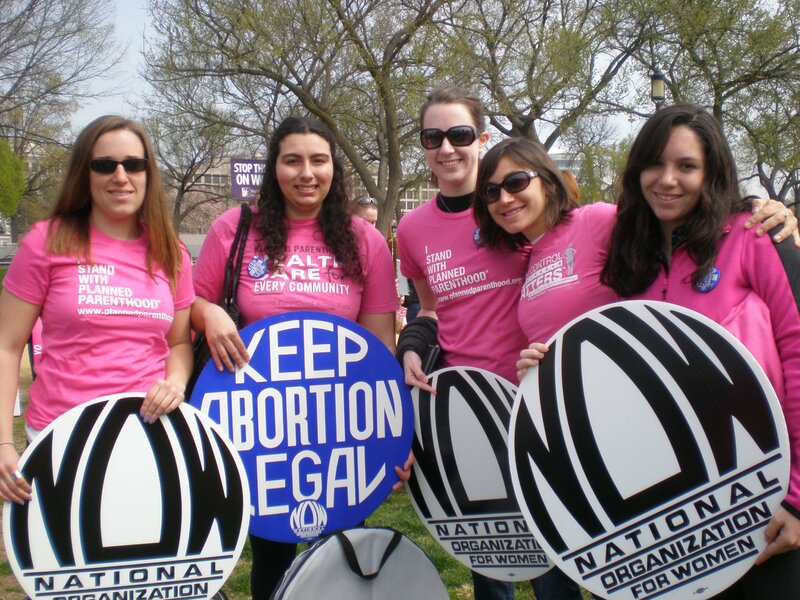 Abortion is becoming an unexpectedly animating issue in the 2014 midterm elections. Republicans, through state ballot initiatives and legislation in Congress, are using it to stoke enthusiasm among core supporters…The fraught politics of women’s health care are already surfacing, as restrictions on abortion are appearing on state ballots and becoming the focus of debate in congressional races — many in places like North Carolina and Colorado that could hold the key to whether Republicans can sweep Democrats from power in the Senate and maintain their grip on the House. My next post will discuss the discriminatory attacks on women and physicians, clinics and hospitals that provide reproductive health services. Tea Party fundamentalists are burdening women’s — but not men’s — decision-making abilities with barriers disguised as medical oversight. Who they think they are fooling is anyone’s guess, but it’s a safe bet they’re not fooling women voters. As we observe the anniversary of the historic Roe v. Wade decision, it’s vital to remember that every woman has the right to have the children she wants, raise the children she has, plan her own family and make her own health care decisions. That means women must have the social, economic and political power to pursue their goals. NOW activists, with our iconic Keep Abortion Legal rounds, will be out there demonstrating, rallying and demanding change until reproductive justice is a reality for all women, in all communities. 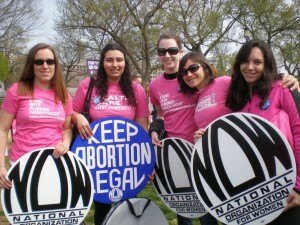 What does the anniversary of Roe v. Wade mean to you? ← Know Thyself: We’re All Crazy, Maybe.